Monks, while they are pretty OP, are also subject to the stringent gear check in grifts from time to time. 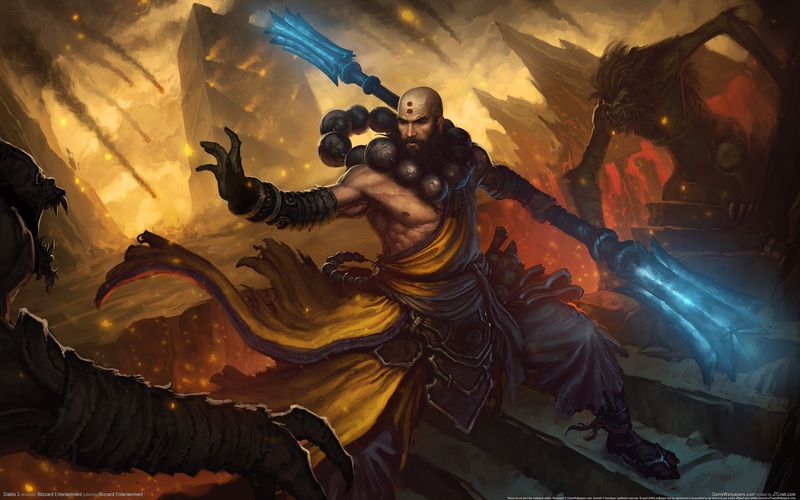 60+ can already be hard on a monk but may find themselves lacking damage even if they’re running the One Punch Monk build. You’d want to get ancient items, augment them, upgrade your gems, and get better rolls on a bunch of your things. You’re missing out on a lot of crit chance/crit damage. Your gems are very low level as well. If you can do 60+, you should easily have your gems up to at least 50 each, minimum. It really comes down to grinding and getting gear upgrades, leveling your gems up, and upgrading your augments. I got to 80/81 about a month ago around paragon 800. Took a lot of time to really understand my build, what gear I needed, and find upgrades. What really helped me a lot was rolling a support monk to do 4-man grifts with. Once I geared one of those up and was able to do speed runs of 85-90, I got a TON of great drops and exp for dex. If you’re not against finding random groups online and making a second monk to support, you should definitely go for it. Diablo 3 involves grinding a lot for gear as it has always been since back in the first Diablo. You won’t get anywhere in the game without farming for the right Diablo 3 items and sets.